If you or a loved one has suffered from a snowmobile accident due to the negligence of another rider then reach out to a Salt Lake City snowmobile accident attorney Joseph Jardine at Jardine Law Offices is excellent litigators against those who caused accidents due to negligent behavior. It is that time of year again when the weather gets colder, the sun hides for longer amounts of time, and the rain turns into that beautiful white fluff of snow. In Utah the snow falls often and in great amounts. This great state holds the record for the snowiest winter of around 80 inches of snow in one season! Also, they almost always have a white Christmas. The National Weather Service stated that around 54% of the time Utah experiences a white Christmas with at least 1 inch of snow on the ground. With all this snow there are opportunities to play in it. Utah is known for its skiing and also for its snowmobiling. The Snowmobile industry is a booming business. A new study of the snowmobiling industry shows that over 1300 jobs are created which translates to about $60 million in labor income. In 2017 it was found that snowmobiling generated $138 million in local sales, $88 million in value to Utah’s economy over all and $13 million in state and local tax revenue. Salt Lake, Summit, Utah, Wasatch, and Weber counties benefit the most from this industry because that’s where the action is. Within these counties are 70% of the $60 million labor income. These counties are the heart of the industry. Snowmobiling adds a considerable amount to Utah’s economy and is a booming industry worth preserving. However, this industry isn’t all fun and games. 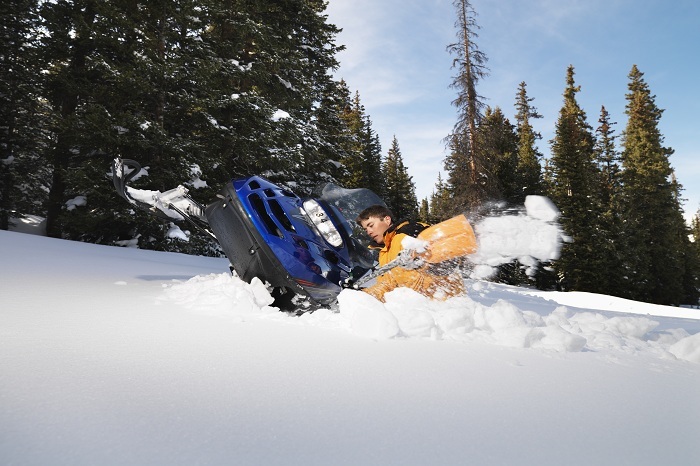 There are some serious dangers that come with snowmobiling especially if you don’t know how to handle one or know the territory you are riding in. Snowmobile safety requires helmets, face masks, water proof gloves and body suits. It is important to wear clothes that will keep you warm and dry during your drive. It is important to check the weather as well as the trail you are cruising. You want to do all you can to stay ahead of any danger by preparing for your ride. Snowmobiling is fun, but it does require a certain amount of effort in preparing for your trip. So what if someone doesn’t take the safety seriously? What if they are acting negligently? What if, due to that negligence, you get into a snowmobile accident? No one plans on getting into an accident. That is why it is called an accident. You can plan the best you can for the things you can control, but unfortunately not everyone is willing to play by the same rule book; sometimes people just don’t have the same common sense. If you or a loved one has suffered from a snowmobile accident due to the negligence of another rider then reach out to our Snowmobile Accident Attorneys at Jardine Law Offices in Salt Lake City. Our Snowmobile Accident Attorneys are excellent litigators against those who caused accidents due to negligent behavior. Such accidents can cause “multi-system trauma” including back, neck, and head trauma. Call 801-350-3506 or click here to start a conversation about how our Snowmobile Accident Attorneys can help you today.